1. The risk of injury and/or death from the activities involved in the Australian Business Tennis Tour and its related events is significant. I acknowledge that in addition to the general risk of serious injury and/or death to which I may be exposed as set out in the preceding paragraph, I may specifically be exposed to the following risks: (i) sprains; (ii) strains; (iii) fractures; (iv) heat and cold injuries; (v) over-use syndrome. While particular rules, equipment, and personal discipline may reduce this risk, the risk of serious injury does exist; I acknowledge that the above list of potential risks is not intended to be exhaustive. 4. I, for myself and on behalf of my heirs, assigns, personal representatives and/or next of kin, forever WAIVE, RELEASE, DISCHARGE and COVENANT NOT TO SUE Australian Business Tennis Tour Pty Ltd, and their officers, directors, representatives, officials, agents and/or employees, subsidiaries, and/or assigns, as well as their independent contractors, sponsoring agencies, sponsors, advertisers, volunteers, and if applicable, owners and lessors of the premises used to conduct the Event (collectively, the "Releasees"), WITH RESPECT TO ANY AND ALL INJURY, DISABILITY, DEATH, and/or loss or damage to person or property, WHETHER ARISING FROM THE NEGLIGENCE OF THE RELEASEES OR OTHERWISE. I further agree to indemnify, defend and hold harmless the Releasees from any loss, liability, cost, claim or damages arising from my participation in or association with activities and events organized and sponsored by Australian Business Tennis Tour Pty Ltd. or connected with the Events. 5. I agree that Australian Business Tennis Tour Pty Ltd shall not be liable for any loss whatsoever that I may suffer as a result (whether directly or indirectly) from any delay, cancellation or change of date of a True Grit event. 6. The “Releasees” in clause 4 and 5 are not intended to affect any liability Australian Business Tennis Tour Pty Ltd may have under the consumer guarantees (to the extent that they apply) set out in the Australian Consumer Law. 7. I attest and verify that I am free from all illnesses, injuries and defects and that I am physically fit and sufficiently trained to participate in all activities associated with the Events. My participation in activities and events organized or sponsored by Australian Business Tennis Tour Pty Ltd. is entirely voluntary. I certify that I have no known or knowable physical or mental conditions that would affect my ability to safely participate in an Australian Business Tennis Tour event, or that would result in my participation creating a risk of danger to myself or to others. 8. I consent to administration of first aid and other medical treatment in the event of injury or illness and hereby release and indemnify Releasees from any and all liability or claims arising out of such treatment. 9. The Releasees reserve the right, in its sole determination, to postpone, cancel, or modify the event due to weather conditions or other factors beyond the control of the Releasees that might affect the health and/or safety of the participants. No refunds will be granted. 10. I agree to abide by all written and/or posted rules of Australian Business Tennis Tour Pty Ltd, as well as all written and/or posted rules of the selected venues. I further agree to comply with all directions, instructions and decisions of Australian Business Tennis Tour Pty Ltd, its employees and agents and venue personnel. I further agree not to challenge these rules, directions, instructions, or decisions on any basis at any time. 11. 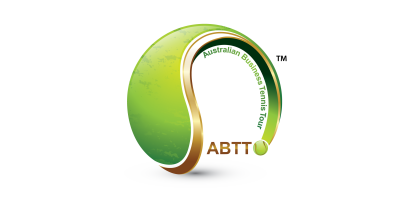 I agree that Australian Business Tennis Tour Pty Ltd and venue personnel may immediately remove from the event anyone who disobeys any rules, directions, instructions, decisions, or laws, or whose behaviour endangers safety or negatively affects a person, facility, or property of any type or kind. 12. I warrant that I am not, and on the date of any Australian Business Tennis Tour event participating will not be, under the influence of alcohol or any drugs that would in any way impair my ability to safely participate in the Australian Business Tennis Tour event. I further acknowledge that alcohol consumption following the event is discouraged by Australian Business Tennis Tour and I take full responsibility for any decision to consume alcohol at that time. 14. I certify that I am or will be of at least 18 years of age by the date of the Australian Business Tennis Tour event. If I am not 18 years of age by the date of the Australian Business Tennis Tour event I acknowledge that I must obtain the consent of my parent or legal guardian to participate in the Australian Business Tennis Tour event before doing so. 15. I grant full permission to Releaseees, as described above, to use photographs, images, videotapes, motion pictures, recordings, or any other record of the activities of the Events for any legitimate purpose in perpetuity and I understand that I shall not be entitled to any compensation therefore. 16. I hereby grant permission gratis to the Releasees to film, videotape and record gratis the performance of the above named participant (referred to herein as "I", "me", "my") as it relates to the Event and subsequently to telecast and otherwise utilize the same gratis in whatever manner Releasees shall deem appropriate. Such permission shall include the unlimited right to appropriate use gratis by Releasees of my name, nickname, image, likeness, voice, photograph, signature facsimile, and biographical information in connection with the Event. I acknowledge that Releasees and their representatives shall have the unlimited right throughout the universe to copyright, use, reuse, publish, republish, broadcast and otherwise distribute all or any portion of the Event in which I may appear on any and all radio, network, cable and local television programs and in any print materials and in any other format or media (including electronic media) now know or hereinafter devised in perpetuity without compensation. In consideration and in return for being allowed to participate in the Event, I release and agree not to sue the Releasees from all present and future claims regarding my participation in the Events that may be made by me, my family, estate heirs, or assigns. 17. I understand that my registration fees are non-refundable for any reason, including but not limited to non-participation, injury, scheduling conflict, or cancellation of the event as outlined in section 7 of this waiver.